sunshine blog » The Two Most Climbed Mountains in the World? If I asked you, what do you think the two most climbed mountains in the world are, what would you say? I’m not sure about you, but for some reason my guess was Mt Everest – perhaps because it gets so much press. But of course, there are hundreds (if not thousands) of other popular mountains in the world, from Ben Nevis to Black Mountain, and many are much more accessible than that. But the two most popular? You won’t believe it: Mt Fuji, in Japan, and Mt. Hood, in the US state of Oregon. Mt Fuji is the iconic highest point in the island nation of Japan. It’s just 62 miles from Tokyo (they say on a clear day you can see it), but in fact a hike to the top is a bit more of an ordeal, many travellers climbing overnight to reach the top for sunrise. There’s certainly something special about Mt Fuji, as it has been the subject of Japanese literature, songs, and folklore for centuries. Climbing is difficult in most months, with many doing the climb in July and August; photos show hundreds of hikers on the summit for sunrise, which seems a little bit surreal considering you’re at 3,776 metres. Good thing that geologists say there’s little, if any, risk of Mt Fuji re-erupting any time soon. Mt Hood is the tallest mountain in Oregon, one of the many Pacific rim volcanoes found in the Pacific Northwest. It’s a popular hike because it’s only 90 minutes to drive from Portland right up to to one of the trailheads on the mountain. This photo shows you about as little snow as you’ll ever see – typically the mountain is blanketed in snow, inches and inches of snow, so hikes here can be pretty treacherous. 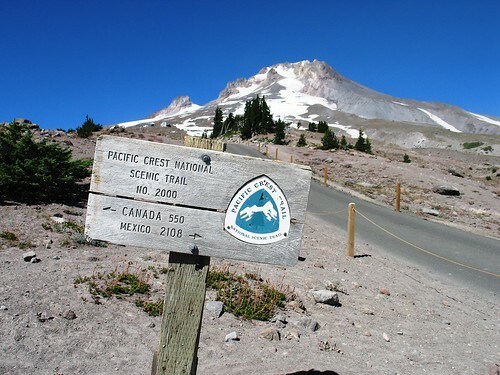 I can’t really understand still how Mt Hood tops the list, but with multiple sources confirming it… If you just want to explore the area and not hike to the top, Timberline Lodge is a real treat (and one of the most historic properties in the state). Great views of the snowcap can be had from Trillium Lake, which is also a large camping site – very popular in the summer. Regardless, if you plan on spending the night, plan ahead. Another popular stop in the area include Hood River, one of the picturesque towns on the Columbia River Gorge. The town is known for many fruit and food farms, as well as wine tastings. 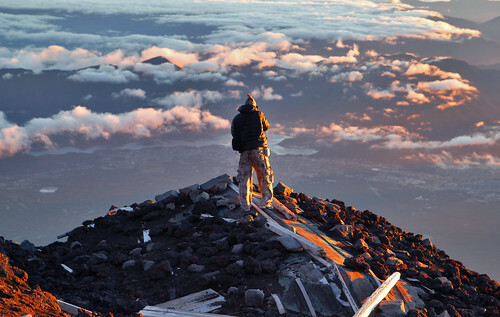 Header image by midorisyu , Mt Fuji photo courtesy of diloz, Mt Hood photo by author.